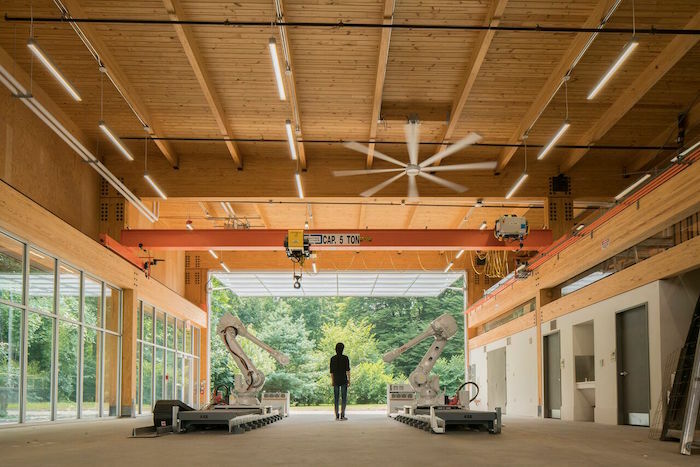 This simple but forward-thinking lab will host research on the future of buildings. 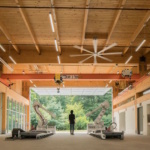 Designed to evolve over time, the project features components and systems that can be swapped and upgraded—students and faculty will continually rewrite and adapt the structure. 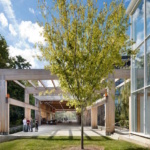 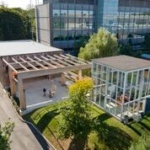 The Princeton University Embodied Computation Lab is a model for new sustainability and low-carbon features, including extremely low embodied energy through a glulam structure and envelope made of local timber. 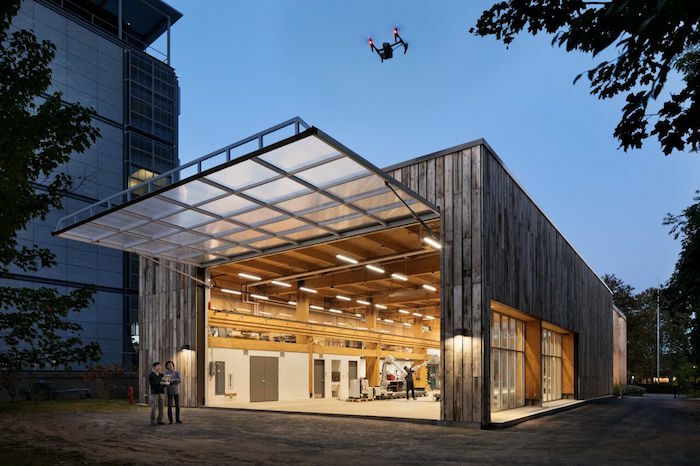 It is the first engineered wood building in North America with a five-ton gantry crane. 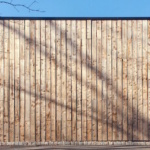 The radiant floor uses waste condensate from the building next door, with no additional energy required. 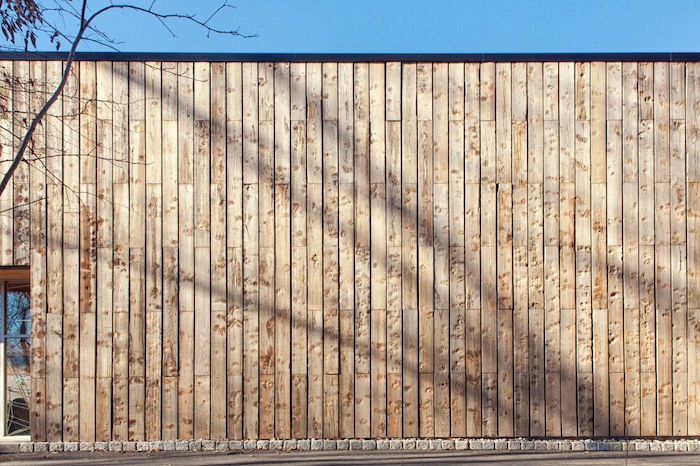 The building envelope is made of reclaimed New York City scaffolding boards that otherwise would have ended up in a landfill. 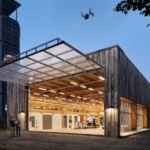 The facade involves the use of custom algorithms trained to detect knots in wood—bringing the power of machine-learning technology to the physical world. 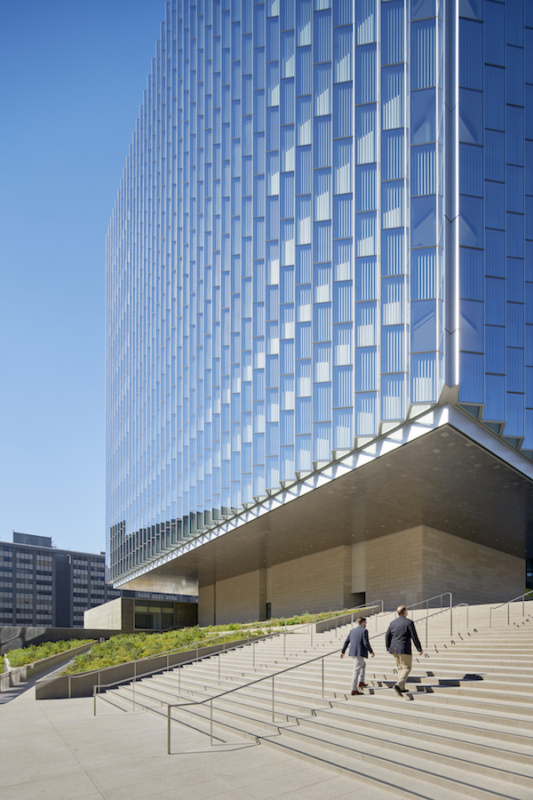 United States Courthouse, Los Angeles (Bruce Damonte)New United States Courthouse meets an energy target of 35k BTU/GSF annual consumption through a variety of sustainable design features. 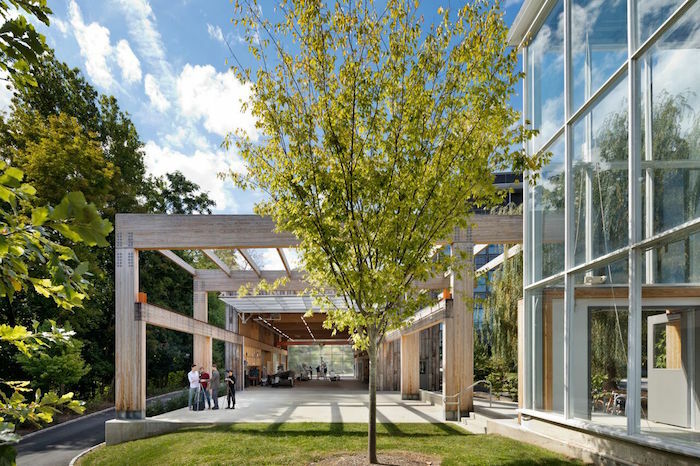 The most visible sustainable design feature is the facade—a solution that gracefully responds to the solar orientation of the site as well as principles of classic, federal architecture.